Winter tyres are becoming more popular everywhere, especially in locations where it is not a law to own a set. Combined with summer tyres, Uniroyal MS Plus 77 SUV tyres give you the ability to enjoy the best levels of performance, longevity and value throughout their lifespan. You’ll always be in control no matter what conditions you face and this gives you the confidence to make and enjoy every journey you need to. 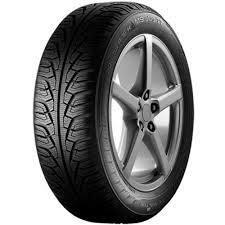 Don’t miss out on MS Plus 77 SUV tyres from Uniroyal.